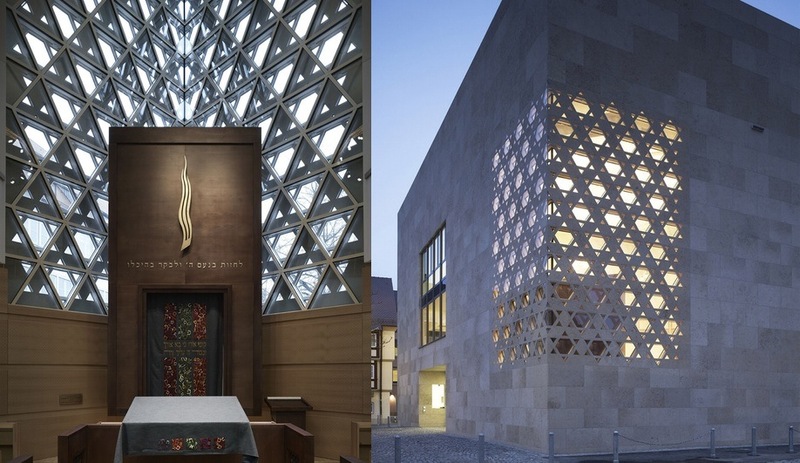 In time for Passover and Easter, we look at some of the most striking and inspirational sacred architecture around the world. 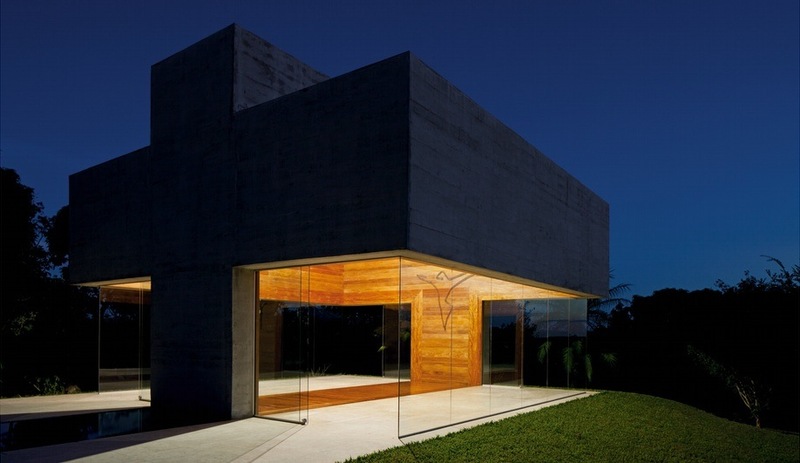 Formed from board-cast concrete, the All Saints Chapel in Martinho Campos, Brazil, by Gustavo Penna Arquiteto e Associados is connected to an outdoor baptismal font by a pool of still water. The interior of the cruciform chapel is lined in wood and lit by a skylight that runs the full length of the structure. 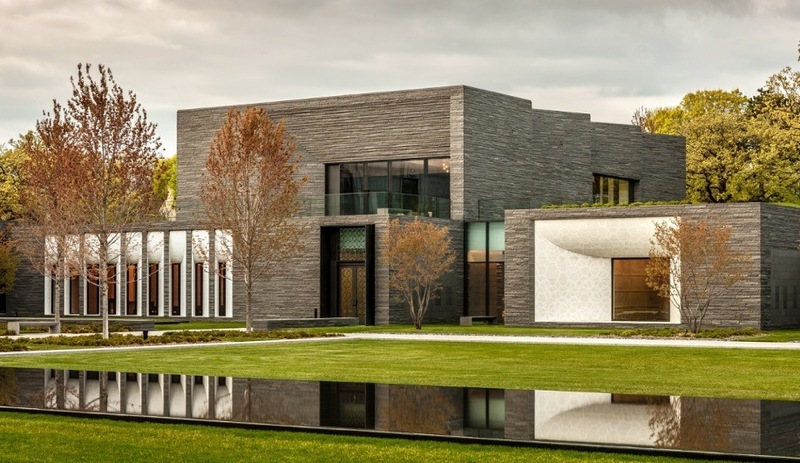 This stately mausoleum expands the facilities for memorial services and cremation burials at a 140-year-old cemetery in Minneapolis. 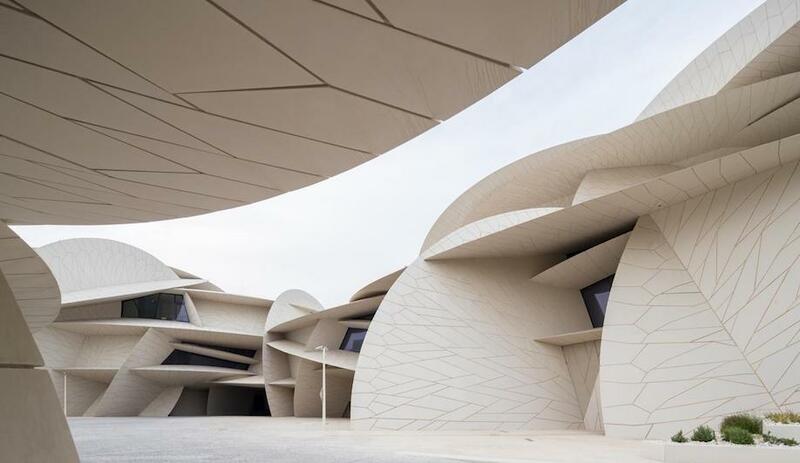 HGA Architects and Engineers’ structure blends seamlessly into 100 hectares of beautifully landscaped grounds. 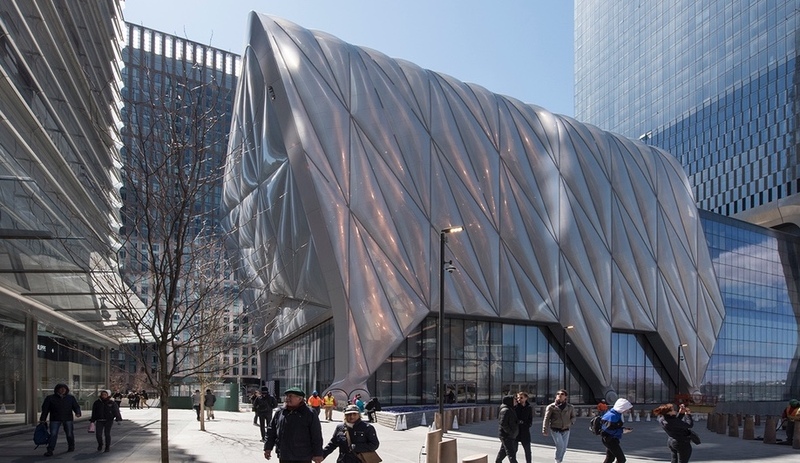 You can see more of the structure in a film viewable here. To renovate the Mother House of the Deaconess Community of Saint-Loup in Pompales, Switzerland, in 2008, Local Architecture was forced to close the main chapel for 18 months. 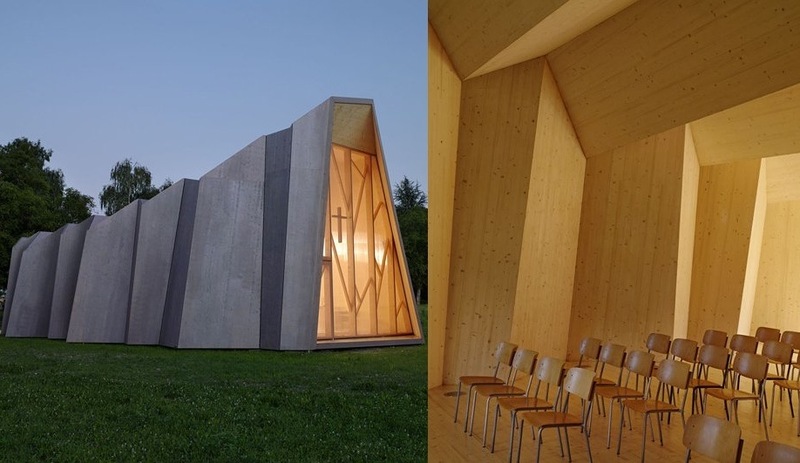 In the interim, worship space was provided by a temporary chapel made from CNC-cut wooden panels; the plans employ a folded shape to evenly distribute the chapel’s weight. The Cloud Pantheon in Murcia, Spain, by Clavel Arquitectos echoes the zig-zag form of the traditional facades used to shutter altars between services. 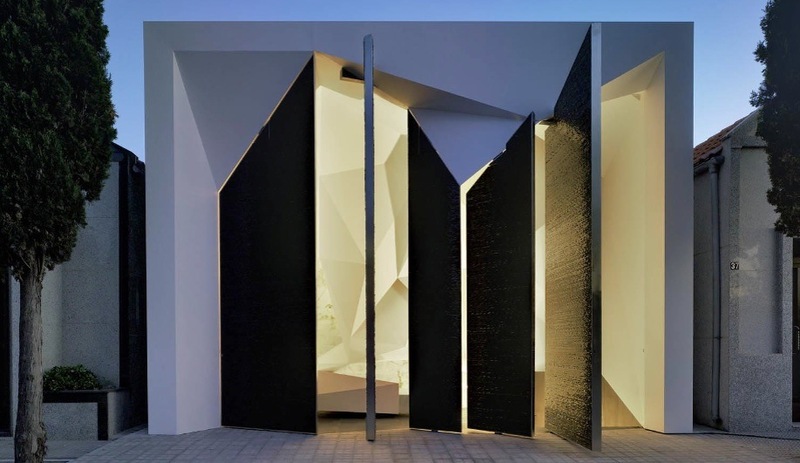 The chapel’s narrow space is enclosed by pivoting doors on one side; when closed, the streetside facade is solid black, and when swung open the panels reveal a faceted white interior. Translucent onyx on the rear walls admit a soft light that creates a cloud-like atmosphere. The central feature of Weinhof Synagogue in Ulm, Germany, is the corner pointing toward Jerusalem, which is wholly turned over to an elaborate Star of David pattern. The structure, designed by Kister Scheithauer Gross Architekten, is designed to blend unobtrusively into the historic site of the previous synagogue, destroyed by the Nazis in 1938. 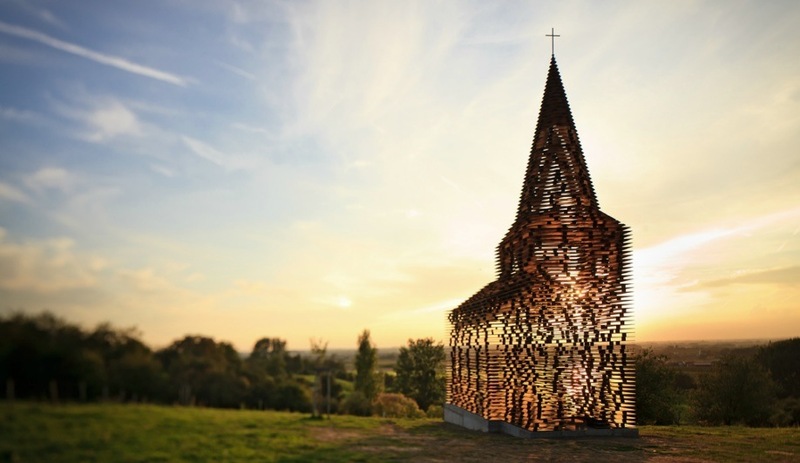 Part chapel, part contemporary art, Gijs Van Vaerenbergh’s Reading Between the Lines in Borgloon, Belgium, uses nearly 30 tonnes of steel. These plates – roughly a hundred layers in all, stacked and separated using 2,000 small columns – limn the profile of a small church, permeable to the sights and sounds of the surrounding countryside. 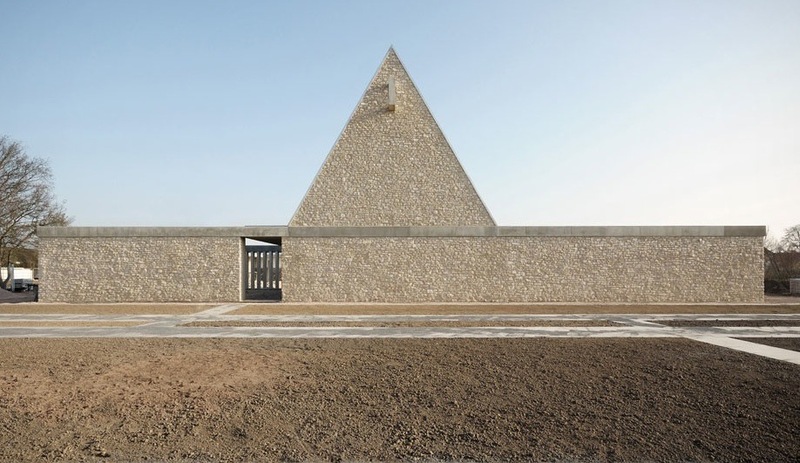 The defining characteristic of Ingelheim Funeral Chapel in Ingelheim, Germany, by Bayer & Strobel Architekten, are its massive fortress-like walls built from locally sourced yellow-grey stone, which insulate the interior as a place of quiet contemplation. 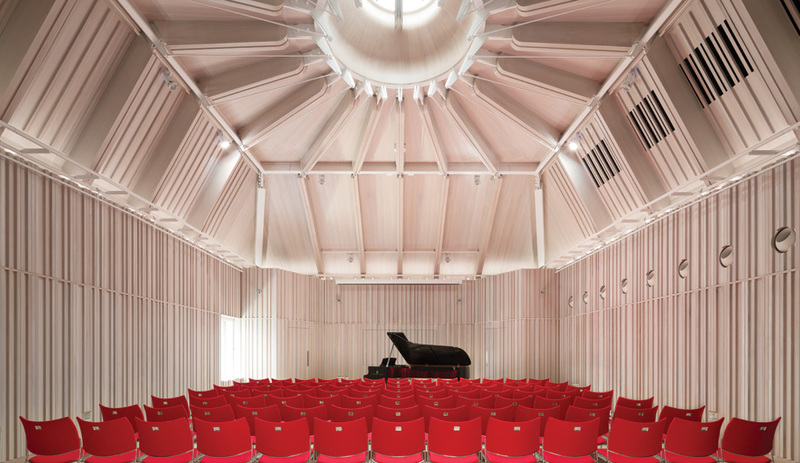 At the centre, the chapel is flanked by manicured courtyards and flooded with natural light through its glass walls and a skylight in the gabled roof. 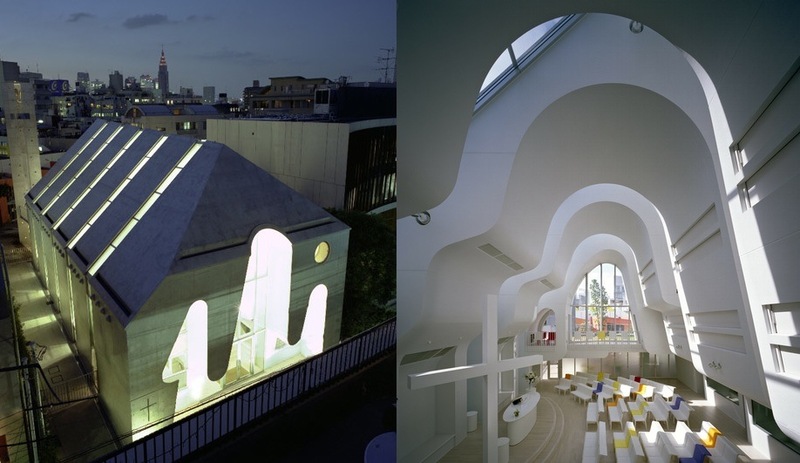 Ciel Rouge Création’s Harajuku Protestant Church of Japan in Tokyo takes the solid concrete block of a peaked-roof structure and slices it like a loaf of bread. 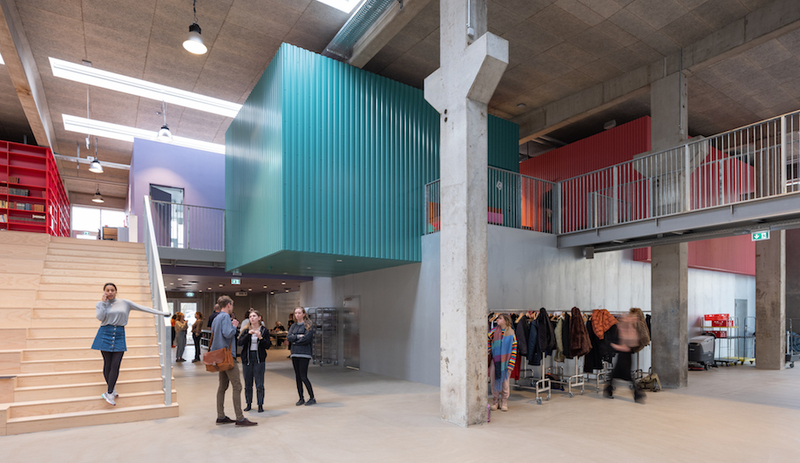 This divides the spectacular undulating ceiling into a series of arches, designed for maximum acoustics, and creates a soaring, airy atmosphere heightened by white walls and ample daylight. 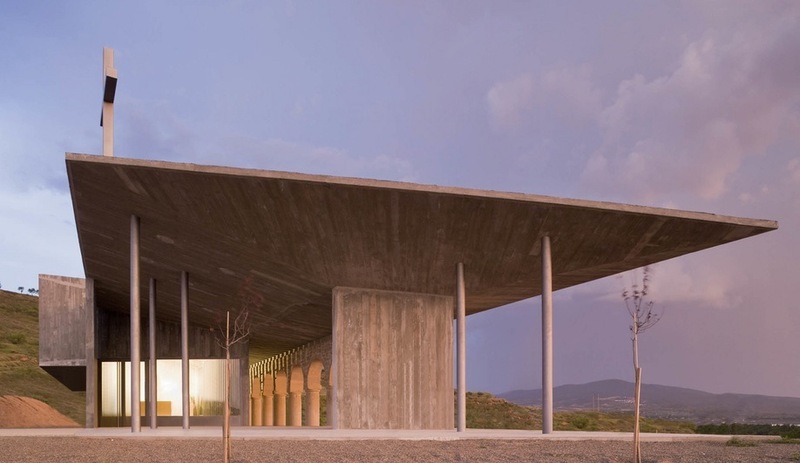 Otxotorena Arquitectos’s Shrine of the Virgin of La Antigua in Alberite, Spain – a town of only 2,000 residents – employs a wide concrete roof to draw the eye to the surrounding landscape. At the shrine’s heart is an ancient stone wall rescued from a demolished structure; the canopy shelters these historical archways and extends the protected space to include an anteroom on either side.